Several days have passed since the roll out of Android 4.3 Jelly Bean update for Nexus 4 and in that time span we received hundreds of emails from our readers telling us the problems they've encountered shortly after they installed the update. While many have been anticipating for the roll out of 4.3 JB for the N4, it seems like they would all be disappointed. Here are the problems our readers told us about. Please note that we've categorized the problems to be able to produce this list. We received, at least 62 emails complaining about this problem. According to them, the Gallery app just won't launch no matter how many times they tap on its icon. Others say they already tried rebooting their phone several times hoping it could solve the problem. A few owners went on to clearing the cache and data of the app through Settings but still the Gallery just won't respond. This problem comes second in this list because we received 46 messages describing this very same issue. Owners say they can't install apps or any updates. Some say they can install APKs just fine but when they try to install apps through the Google Play Store, they can't; the install button won't respond. Randomly, the Play Store closes when trying to install apps or updates. Many owners said that right after the update, the phone starts to lag including some apps and games. Two of the apps that were reported to have been greatly affected were Subway Surfers and Gangster Vegas. The Nova Launcher force closes every time the phone boots up, although opening it again would solve the problem temporarily. This could be considered as an extreme case. While there were just a handful of owners who reported the problem, owners were positive random shutdown started right after the update. According to them, factory reset would not solve the problem. Not only does the stock keyboard freezes, it takes longer to key in letters that were typed by the user. Again, our readers who reported this problem were positive the problem started after the update was installed. One user was able to manually rollback his operating system by flashing a custom ROM, he said the keyboard never freeze in the previous version. 1. WiFi icon is displayed even if it's off. 2. Power button does not end a call. 3. Nexus 4 can't detect mobile network after the update. 4. The camera won't rotate. 5. Photosphere orientation is distorted. We urge Nexus 4 owners who have recently updated their device to share their experiences by posting a comment below or by sending us emails at sebertech@gmail.com. 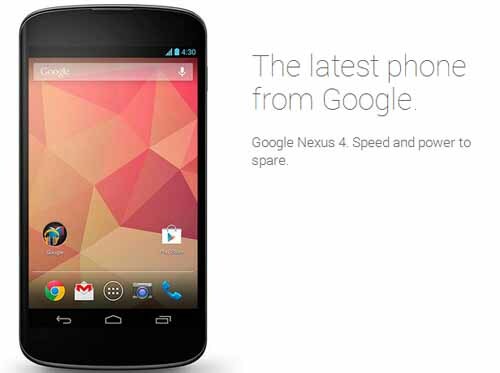 Thousands of users around the world wants to know if the Nexus 4 Android 4.3 Jelly Bean update is worth the risk. My Nexus randomly shuts off, it freezes and the only way to unfreeze it is with a long hold on the power button. Camera isn't rotating. Also as soon as I updated my phone started overheating. Since installing the update (of which I now regret) on my Nexus 4, it has never been the same again. Words with friends flickers like mad now and then; and charging the battery is becoming a nightmare too. To charge my phone, I now have to turn it off, then plug in the charger, and then switch the phone back on. While this is a slight inconvenience for myself, I can only empathise with others that are experiencing severe symptoms. My microphone stooped working after the 4.3 update. It doesn't work during normal calls. But works in loudspeaker mode. Calls on Skype, Viber etc work great. Tried factory reset, hard reset, and even downgrading to 4.2.2, nothing solves the problem.